We are fortunate to have a good archive from which much of this article derives. 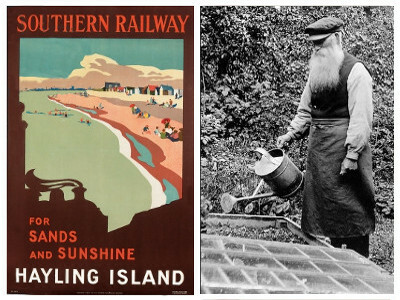 The Hayling Island Horticultural Society was founded in 1886. No records show how it started or why, perhaps a simple arrangement between a group of allotment gardeners to buy seeds and fertiliser. The early Shows were much led by the Big Houses and their professional gardeners. These became a major social event on the Island with near 100 exhibitors, and some 200 prizes including classes for coal, meat, tobacco and tools. The day included sports, first aid displays and marching displays all being rounded off by fireworks. The shows continued until the start of the Great War in 1914. Shows were held first in the grounds of the McEuen family house - Westfield - on the corner of Beach Road and the Sea Front. 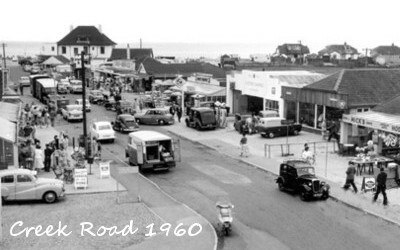 Later Shows were held in the Victoria Hall in Beach Road (since demolished), Hayling Common near the Royal Hotel, St Mary's Church Hall and the British Legion. At war's end in 1918 local gardening interest changed from the Big Houses to the great number of allotments and the name of the Society was changed to the Hayling Island Allotment Society. The Society was the proud owner of its own marquee. Much land was given over to allotments. One area alone stretched from the site of the British Legion to the end of Palmerston Road all the way to Pond Head. 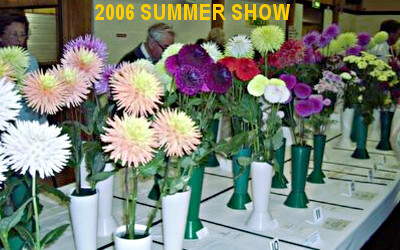 Shows were held under RHS rules, and a Silver Challenge Cup, the Society's oldest trophy, was first presented in 1920. The Second World War interrupted the Society's progress, and when peace came in 1945, the event was celebrated with a very successful Show in the British Legion and its grounds, which included a Baby Show, a fancy Dress Competition, side shows and ended with a Dance. Around this time our name changed to the Hayling Allotment and Gardening Association until in 1956 it reverted back to Hayling Island Horticultural Society. The number of Shows increased to four, being held in different locations including the British Legion and Co-operative Halls, the URC Hall, Mengham Middle School, and most recently the Community Centre. 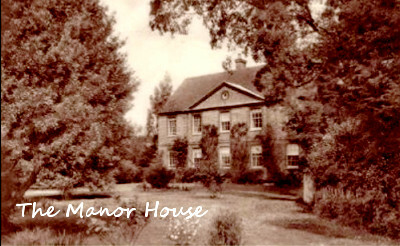 In 1974 the Trading Centre was launched in the stable block of the old Tudor Vicarage. The field which is now known as the Legion Field used to be called Vicarage Field and the ultimate landlord of the Trading Centre is still the Diocese. By our Centenary year in 1986 membership had grown from 100 to 1,000 with a waiting list, and was limited only by space in the Trading Centre building. The success of the Trading Centre with its remarkable band of unpaid volunteers enabled the Society to finance an excellent programme of lectures by renowned Horticulturalists, and to stage very high quality Shows. 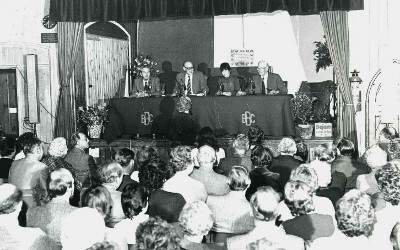 The Centenary year in 1986 started with an appearance of Society members on Gardener's Question Time, and continued with a rolling programme of 25 members opening their gardens, large and small, to the public on 6 summer weekends, raising over £4,000 for the RNLI. The Main Summer Show was held in a large marquee on Hayling Park, with side events and demonstrations taking place in the Community Centre. Many of the original 1886 prizes, such as a bag of coal and a leg of lamb were in the overall prize list and one exhibitor did a magnificent and meticulously researched display of vegetables and fruit which were likely to have appeared in the first Show. In addition the Society funded tree planting in Hayling Park, attended by the Mayor of Havant. The final event was a Centenary Dinner filling the Community Centre which included a film of all the Open Gardens and a topical musical sketch written by member, Phil Whitley, who in his younger days was a script write for radio and television, including the Two Ronnies. The society remains in good heart with many awards for the Shows, a varied and enterprising programme of talks, excellent visits to places of interest, a successful Trading Centre, regular quality Newsletters and this website. With greatful thanks to Sir John Lea, Past Chairman and President of H.I.H.S.